AN Imo State High Court presided over by Justice Benjamin C. Iheka was yesterday, told how the State House of Assembly defied an Order of Court and pronounced the impeachment of the Deputy Governor, Prince Eze Madumere. 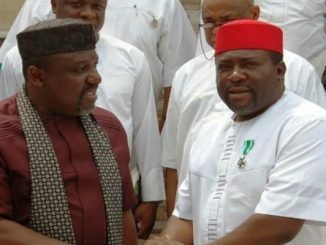 Giving a graphic account of what happened after the last sitting, Madumere’s counsel, Prince Ken C. C. Njemanze, SAN, recalled that the Attorney General and counsel for the Speaker and Imo State House of Assembly were present in court when the order, restraining the defendants was made. “My Lord, I am not strictly speaking, going into the matter before you. I am speaking seriously from the Bar. 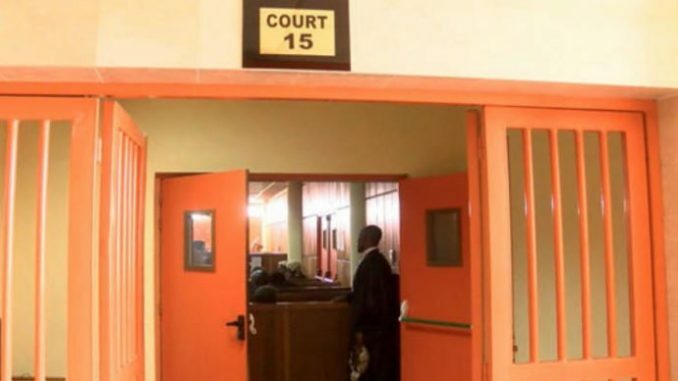 The Attorney General, who represented the Chief Judge and Mr. O. C. Chibueze, who represented the Speaker and the House of Assembly were present when the court validly issued the restraining order on the defendants”, Njemanze said. The SAN also said: “We all went home with the belief that all sides would respect the Order of Court, but we were wrong. Six clear hours after the valid order was made, the social media became saturated with the news that the State House of Assembly had impeached the Deputy Governor. “The House equally claimed to have okayed the appointment of somebody as the new deputy governor, despite the pendency of the suit and order of court. The impunity in this state must stop. “It is sad to note that this breach happened as the Attorney General, the chief law officer of the state and Mr. O. C. Chibueze watched helplessly. There will be serious chaos in the land if we enthrone self help instead of the rule of law. 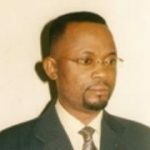 I felt like letting you know what has happened, but I will go fully into the issue when hearing begins”, Njemanze said. Vanguard recalls that when the matter, HOW/565/2018, was called up earlier, Njemanze enumerated all the suits the plaintiff filed and what they were intended to achieve. He was particularly interested in the motion urging the Court to set aside the acts of the defendants, done in breach of the lawful and subsisting Court Order. “We have served the processes on the Chief Judge, Nze Saba Nze, Mr. Charles Okoro, the Speaker, Imo State House of Assembly and Imo State House of Assembly. The other defendants have because of their unlawful act, disappeared”, Njemanze told the Court. He then said that since they do not know the addresses of the other defendants, they expected that the Chief Judge, who appointed them should have delivered the processes. “We are aware that this matter cannot go on without proper service on all parties. We will do the needful before our return date”, the SAN promised. Responding, the Attorney General, Mr. Milletus Nlemadim, SAN, pointed out that “the processes were served last Friday on the Office of the Chief Judge instead of my office. Having served my client, we intend to react appropriately to it”. 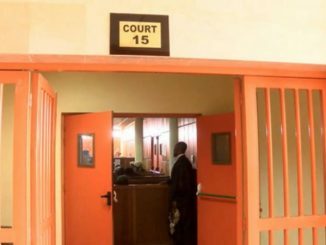 Before the Court adjourned the matter to Monday, August 20, 2018, Justice Iheka said he was adjourning because some parties in the suit have not been served. “There is the need for me to remind the defence counsel that you already know that you are out of time in filing your responses. I hope you will do the needful before the new date because I would not entertain unnecessary delay in this matter”, Justice Iheka said.